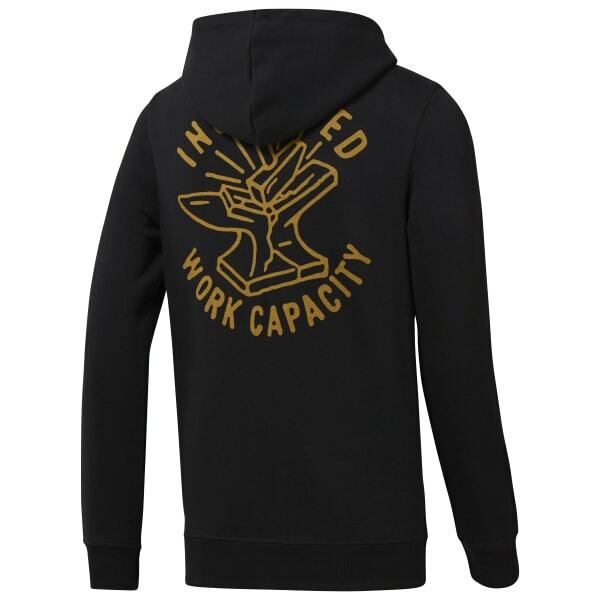 For a piece that holds its own in or out of the box, turn to this men's hoodie. This pull-over is designed with a heritage style CrossFit illustration, effectively blending a timeless look with the aesthetics of the present. Bury cold hands in the front pocket and throw up the hood for warmth.